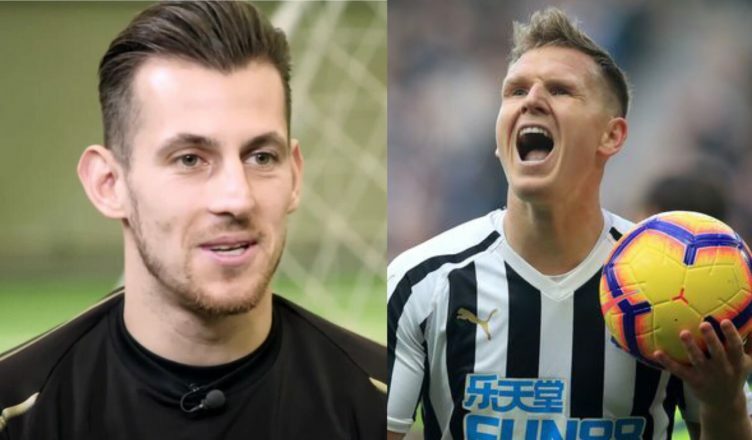 Martin Dubravka mocks Matt Ritchie after hilarious incident caught on camera at Leicester – NUFC blog – Newcastle United blog – NUFC Fixtures, News and Forum. If you haven’t seen it already, some amusing footage was captured by the Sky cameras during Friday night’s win at Leicester, involving Matt Dubravka and Matt Ritchie. The Slovakian appeared to have winded himself after coming out to collect a cross late in the game, but Matt Ritchie’s thumping ‘pat’ on the back appeared to do more harm than good! That’ll be the last time Dubravka asks for Ritchie’s help if he’s winded! In all seriousness though, it was a brilliant performance from all involved on Friday, with Ritchie’s superb assist and a Dubravka clean sheet (his 10th of the season) giving us the one big win we needed to secure survival.